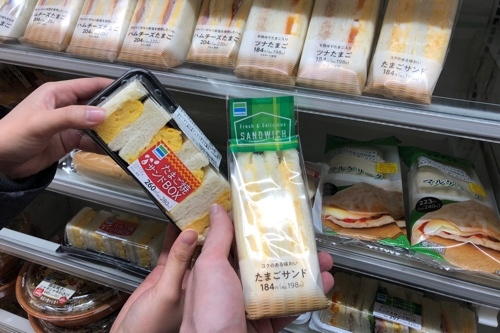 I’d been waiting since this time last year to go back to Japan and chow down on a convenience store egg sandwich. It may appear to be a odd comestible obsession given the wide variety of incredible food the country has to offer, but they’re unreasonably good. So jetlagged and hungry, Clara and I ventured across the street from the de-facto AsiaBSDCon Hotel to the 7-11. 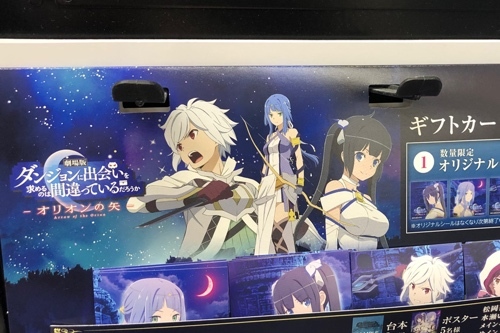 They didn’t have any, though they did have a certain Dungeon Hestia anime. We walked across the street again, this time to our closest Lawson. Once again, the didn’t have any! 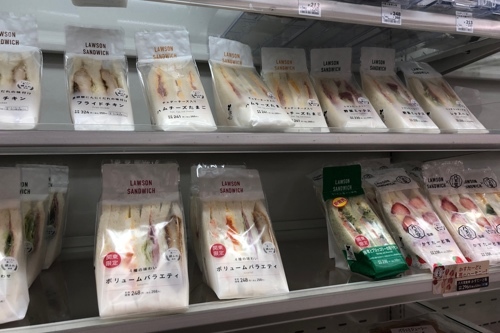 The absence of this convenience store staple so bewildered me I started recording photographic evidence.